Heather has been with us for over 14 years. Heather can be counted on to greet you with a ready smile and to help you locate over-the-counter medicines. 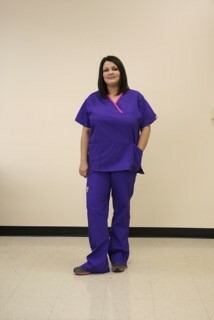 She can also help you find or order the right scrubs. She enjoys getting to know our patients as individuals. Heather and her 12-year-old son love being outside exploring nature and enjoying everything the great outdoors has to offer.